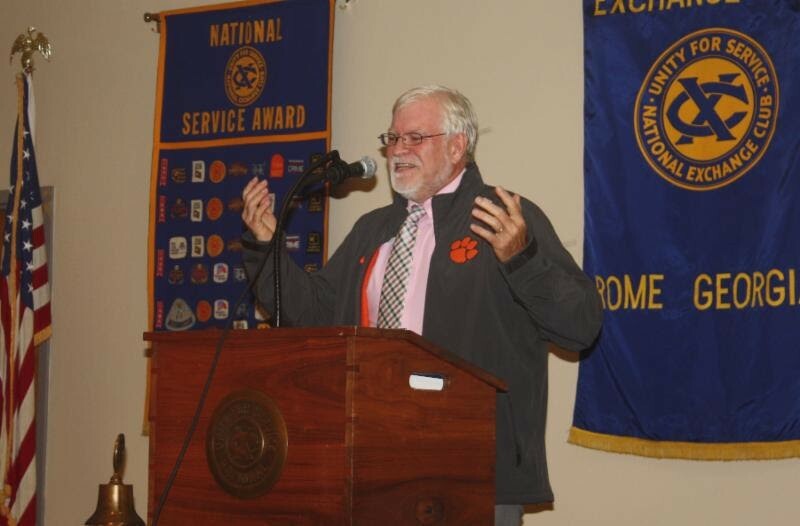 The Exchange Club of Rome recently hosted Floyd County School Superintendent Dr. Jeff Wilson as a guest speaker at a club meeting. He gave an inspiring presentation about the issues facing the teachers and students in the Floyd County High Schools. Many students have no moral compass and need help in ethics. His plan is to involve students, inspire students, and provide a place to learn, whether it is academics, or job training, or skills to prepare them for life. Recent SAT test scores show all the local High Schools performing above the State and National average. Pepperrell High School is graduating close to 98% of their students which is phenomenal.